The K Raheja Group on Thursday entered into an agreement with Kishore Biyani to sell their loss- making premium retail chain Hypercity Retail to Biyanis Future Retail for Rs 655 crore in a stock-and-cash deal. 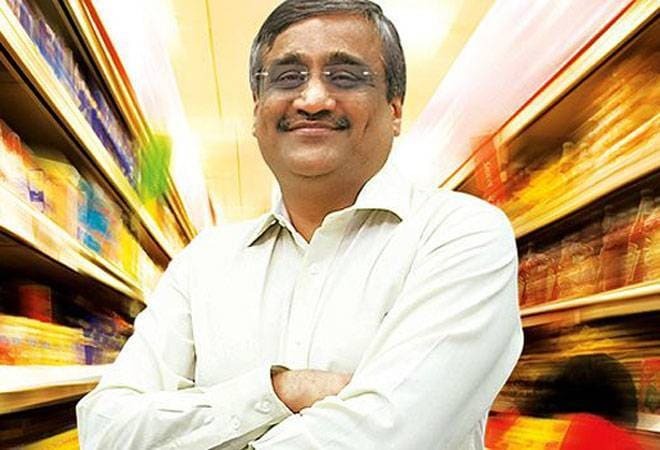 Speaking to media a day after Future Group entered into an agreement to buy loss-making premium retail chain HyperCity Retail, Kishore Biyani on Friday said Future Retail deal will help Hypercity to realise profitability faster. "HyperCity will turn profitable immediately," Biyani said. Since the cash component is low debt will be internally funded. Deal will add 10 per cent to BigBazaar's current retail space, Biyani said. We are keen to start FBB under HyperCity, Big Bazaar can take food business to another level, Biyani added. The K Raheja Group on Thursday entered into an agreement with Kishore Biyani to sell their loss- making premium retail chain Hypercity Retail to Biyanis Future Retail for Rs 655 crore in a stock-and-cash deal. The loss-making Hypercity, majority owned by Shoppers Stop, operates 19 large format premium stores in some key cities. The deal will give the Future Retails flagship retail chain Big Bazaar access to a premium brand and great locations in main metros. The board of both companies decided on the transaction and according to the term sheet, Future Retail will allot 93.1 lakh shares with a face value of Rs 2 each to Hypercity promoters, aggregating to Rs 500 crore, on a preferential basis, Future Retail said in an exchange filing this evening. HyperCity currently has 19 stores and 2 more stores are in the pipeline. The preferential allotment will be made at a premium of Rs 535 per share and the remaining Rs 155 crore will be made upfront in cash. On completion of the transaction, Hypercity will become a wholly-owned subsidiary of Future Retail, the statement said. Future Retail will hold an extraordinary general body meeting of its shareholders on November 3 to seek their approval. Companies expect to close the deal over the next three to five months, on getting the necessary regulatory approvals. Under the deal, the promoters of Hypercity -- Shoppers Stop, RC Raheja and his family, CL Raheja and family, Jyoti C Raheja along with Chandru L Raheja and NC Raheja and family and B S Nagesh and family will exit the company. The K Raheja Corp groups flagship Shoppers Stop, which is a leading premium retail chain, owns 51 per cent stake in Hypercity which runs 19 big-box premium retail stores in upscale areas in Mumbai, Bengaluru and Hyderabad. The deal will help Biyani further consolidate his footprint in Western states and also his hypermart vertical. Hypercity, which had a turnover of Rs 1,191 crore last fiscal, opened its first store in 2006 and is a subsidiary of Shoppers Stop, which owns a 51 per cent stake while parent K Raheja Corp holds the rest of the stake. The deal cements Biyanis acquisition route growth. Already the merger with Bharti Retail and Big Apple has strengthened Future Groups presence in the North with over 250 stores. It also gained in the south through the acquisitions of Nilgiris and Heritage. But Biyani was also forced to sell the Pantaloons department store chain in 2012 to the Aditya Birla Group due to cash crunch then. The present deal is part of Biyanis strategy to more than treble his revenue to Rs 75,000 crore by 2021. The Hypercity deal will add about 1.4 million sqft of retail space to Future Retail which operates around 13.8 million sqft of retail space spanning 221 cities. For Shoppers Stop, which opened its first department store over 25 years ago, food and grocery vertical was dragging down its overall profitability with a net loss of Rs 40 crore last fiscal. Despite a 17 per cent sales growth, Hypercity reported a loss of Rs 20 crore last fiscal.